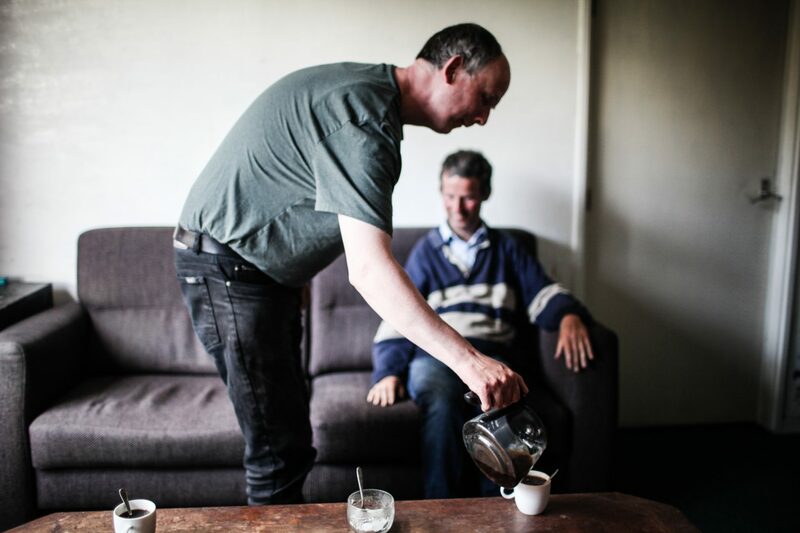 This exhibition of the ‘Blije Church’ photography project by Maarten Boersema, a pastor in the Frisian town of Blije-Holwerd, told the story of the life of a village preacher and community life in an area beset by a declining population. These intriguing, inspiring, often stunning and affecting pictures showed the life of one person in a village community, along with the important role faith plays in this deeply religious North Frisian town. Boersema exhibited a selection of the photographs in conjunction with Sense of Place in 2018. The mood of the ‘Blije Church’ was replicated inside the barn of an authentic old farm. The artist selected some of the most arresting images, depicting beauty and horror, good and evil, and joy and despair. After earning his Master’s degree in Theology from the Theological University of the Reformed Churches in Dampen, Overijssel province, artist Maarten Boersema (b. 1986) joined the Liberated Reformed Church in Blije-Holwerd as a part-time preacher in September 2014. He began his blijekerk.nl project that same month. In recent years he has also honed his talents as a photographer and author, having published both his written work and his photographs in publications such as ManagementTeam, Discovery Magazine, Medisch Contact, Nederlands Dagblad, Huffington Post and The Scientist.